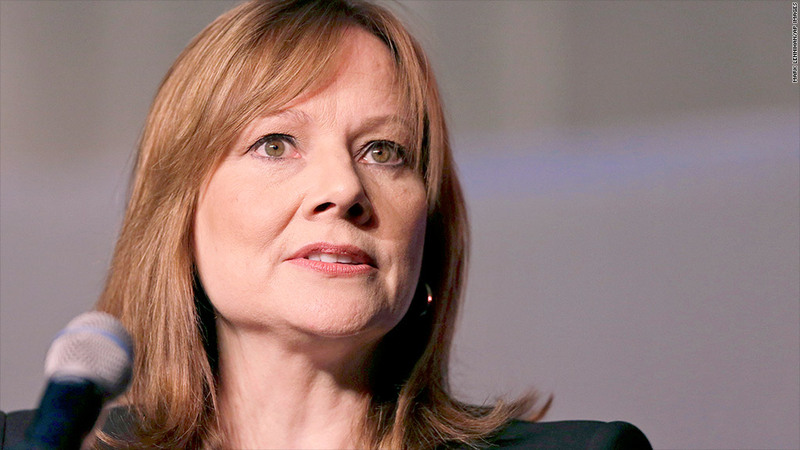 GM CEO Mary Barra has said she was waiting for internal probe before answering more questions about the delayed recall. General Motors' recall crisis has raised a lot of questions about why it took a decade to recall cars tied to the deaths of at least 13 people. On Thursday, the company will start to give answers. The automaker will disclose the results of a much anticipated investigation by former federal prosecutor Anton Valukas into how the flawed ignition switch got into cars, why it took so long to replace them, and who at GM was responsible. GM (GM) has undergone two days of grueling Congressional hearings and agreed to a $35 million fine from safety regulators. It also faces a criminal probe into recall delays. 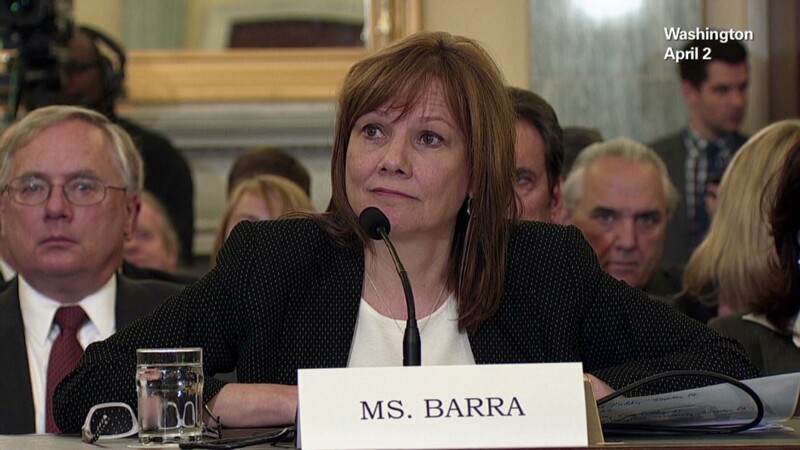 But GM CEO Mary Barra, who only took the top job at GM in January, has said she had to wait until Valukas' probe before she could answer many of the questions posed by lawmakers. The company, on Valukas' advice, has already placed two engineers on paid leave in what Barra referred to as an "interim step." The engineers worked on the ignition switch, and one of them was accused by lawmakers of lying during a deposition in a wrongful death lawsuit. Barra conceded in response to questions that it appeared he was lying, but she said she wanted to wait for Valukas' report. It appears unlikely that Barra, a 34-year career GM veteran, will be personally implicated in the probe. The head of the National Highway Transportation Safety Administration said in in May that he didn't "have any records" indicating that Barra had knowledge of the ignition switch. Barra managed a major GM assembly plant in 2003 and 2004, when the flawed switch was being designed and built into the cars. She held various executive positions in manufacturing engineering from 2004 through 2009, then served as head of human resources until she was tapped to lead product development in 2011, a position she held until her promotion to CEO. GM could also disclose Thursday how much it will pay to victims of the faulty ignition. Barra has said that beyond any legal liability, the company has a moral and civic responsibility to those who were injured or killed. But the company has yet to formally commit to making payments or to say how much it will put into any victims fund. The company has hired compensation expert Kenneth Feinberg to advise it on a compensation formula. His report is likely still weeks away. It is not clear if Valukas will address the number of people who were killed by the faulty ignition. GM has so far stuck with its estimate that 13 people died as a result of the problem. But the head of the NHTSA, other safety experts and families of people killed in recalled cars have said that number doesn't include all the victims who should be counted. GM conceded in February that its engineers first discovered the problem with the ignition switch at least as early as 2004, but it did not recall the 2.6 million cars at issue until earlier this year. Barra admitted in testimony before Congress and has made numerous statements that GM was wrong not to order the recall much earlier, and she has apologized for the delay. The faulty ignition switch made the cars prone to shutting off while being driven, disabling the airbags, power steering and anti-lock brakes. GM tapped Valukas to lead its own investigation into the recall delays in March and he vowed he would conduct a thorough and independent probe into the delays. A former U.S. attorney, he is best known for the court-appointed investigator into the causes of the Lehman Brothers bankruptcy. --CNN's Poppy Harlow contributed to this report.